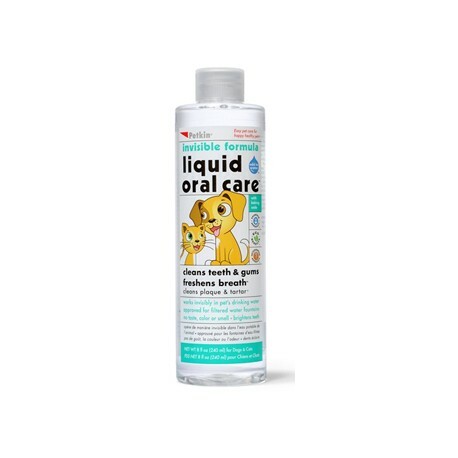 > Cats>Supplies>Grooming Products>Dental Care>Pet Liquid Oral Care, 8oz. 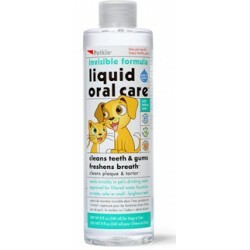 Pet Liquid Oral Care, 8oz. 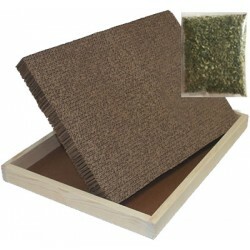 Easy way to keep your pet's teeth and gums clean and healthy while freshening breath. Tasteless and colorless formula works invisibly to clean teeth while fighting plaque, gum disease, and odor causing germs. 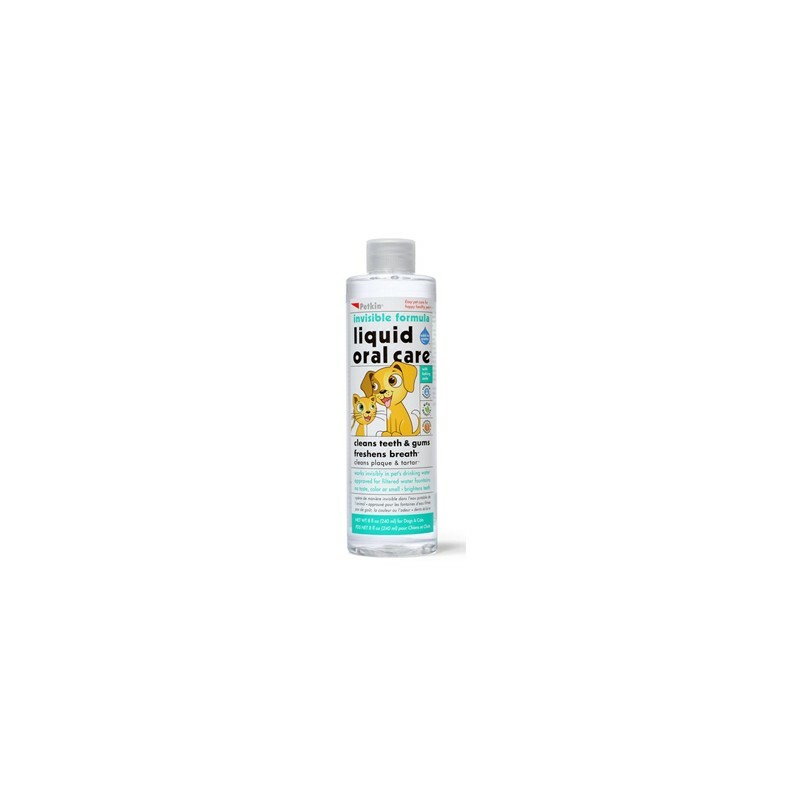 Improve your pets "Dental" care with this easy to use product! 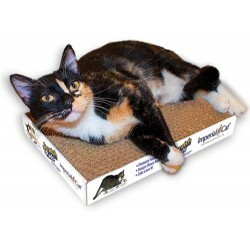 Easy way to keep your cat's teeth and gums clean and healthy while freshening breath. Tasteless and colorless formula works invisibly to clean teeth while fighting plaque, gum disease, and odor causing germs. Pour 1/2 capful into every 8 oz. of drinking water. Veterinarian approved! Ingredients: Water, Glycerine, zinc gluconate, cetylpyridinium chloride, aloe vera gel, baking soda, potassium sorbate, methylparaben, malic acid. 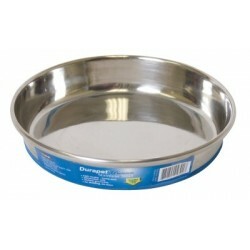 For cats and dogs 6 weeks and up. Not for child use. Directions: Shake gently before use. Add 1/2 capful of Liquid oral Care to 8 oz. fresh drinking water. Prepare fresh drinking water every day. You will start seeing results in as little as 2 weeks. Use daily for best results. No flavor, color or scent. Net weight 8 fluid ounces.